Melody Ranch Motion Picture Studio was the location for the 1996 film starring Bruce Willis, "Last Man Standing." 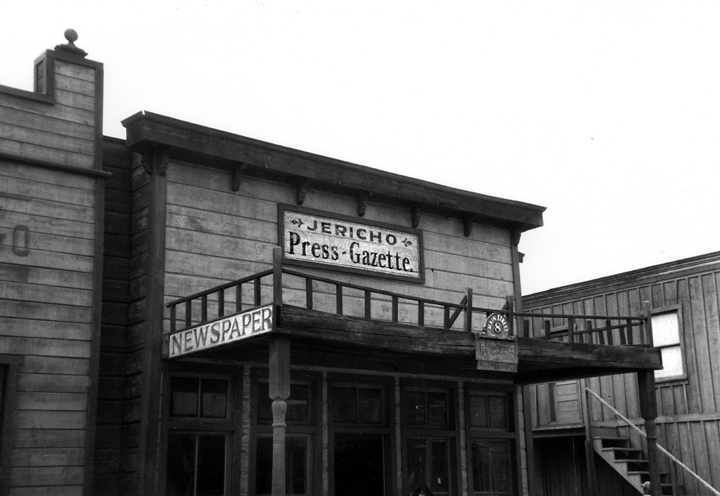 Jericho was the name of the town, and the Press-Gazette was its newspaper. LW2195: 9600 dpi jpeg from original print; photo 1996 by Leon Worden.